Check out Yellow Cab's Buy2 Take2 Promo! 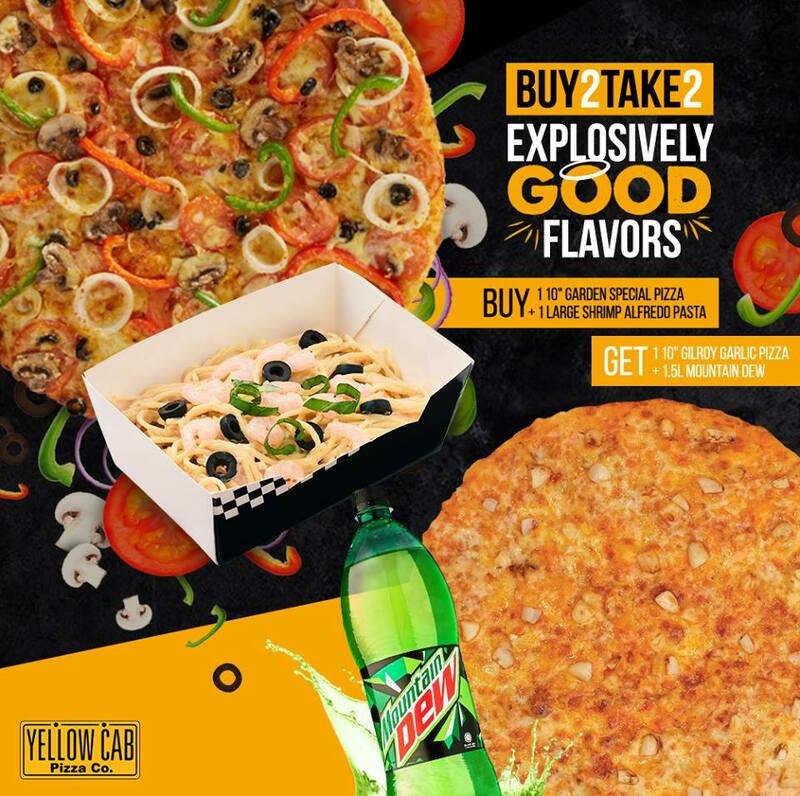 Fuel up on Yellow Cab’s freshest: buy 1 10" Garden Special Pizza and 1 Large Shrimp Alfredo Pasta and get 1 10" Gilroy Garlic Pizza and 1.5L Mountain Dew for FREE! Promo runs from March 23-April 1, 2018. Available for Dine-In, Take-out, and Delivery in all branches except Kidzania, MOA Arena, Brent, and Camaya.